Alphabet Outline VPN may just prove to be the first VPN for the masses. You already know what a VPN is. It performs the duty of securing the user’s privacy. It does that by routing the user’s internet traffic via an encrypted tunnel that it forms with the help of a distant VPN server. Here is the problem with using a VPN service to begin with. You actually have to trust the VPN service provider to not mishandle your private and/or personal information. If you want to USE a VPN service, then there is no getting around that fact. A VPN service not only has to protect your private information but it also has to make sure no one can snoop on your web traffic. One of those VPN services is Outline. It comes from the company we know as Jigsaw. Alphabet is also the parent company of Google as it turns out. 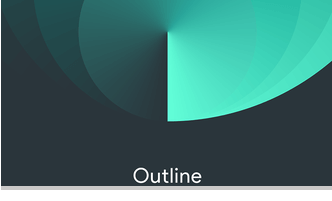 In any case, Outline provides users with the opportunity to sidestep the above-mentioned trust issue. It does that by allowing users to run their own Virtual Private Network service. And that too on a Virtual Private Network server that they themselves control. 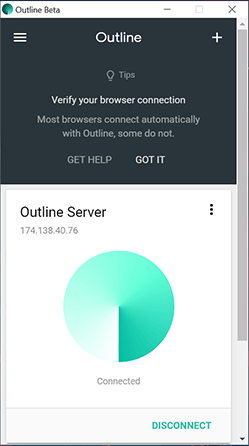 In truth, Outline is actually easier to utilize than some of the other consumer Virtual Private Network services that we have reviewed here on Security Gladiators. With that said, we would also like to point out some caveats that readers should keep in mind. We will do that towards the end of this Alphabet Outline review. Moreover, we also think that Alphabet Outline is actually more suited to small companies and businesses than single individual users. Apart from that, readers should also know that Alphabet Outline is currently in its beta phase. And the beta phase comes with restrictions that are eyebrow-raising to say the least. Even in its beta stage, this Virtual Private Network service provider does more than enough by combining the user-friendly design of some of the best Virtual Private Network service providers with the Do It Yourself mentality of the online open-source community. Build Your Own Virtual Private Network And Then Use That Virtual Private Network. There is a stark difference between each and every VPN service provider in the world and Alphabet Outline VPN. That stark difference is that Alphabet Outline VPN isn’t really a VPN service provider. So what is it then if it is not a VPN service provider? What is this Alphabet Outline VPN review for then? Before you get the wrong idea, we want you to know that Alphabet Outline VPN is actually a tool. It allows users to create a VPN service very quickly. Then users can use the same Alphabet’s Outline Virtual Private Network tool to use a Virtual Private Network. The other difference is that this Virtual Private Network (that you have built yourself) is something that you, the user, owns and controls. If the user has made use of Alphabet Outline Virtual Private Network, then the user no longer has to deal with anxious thoughts about some Virtual Private Network service company managing the user’s personal information. We have already told you why some Virtual Private Network service providers are interested in the user’s private information. Mainly, these unscrupulous Virtual Private Network service providers potentially want to see the user’s traffic in order to monetize it. So you can just take them out of the equation with Alphabet’s Outline Virtual Private Network. And then feel the power that comes with being the master of your own domain. We have to give credit to Alphabet’s Outline Virtual Private Network for going to great lengths in order to establish its security and privacy bona fides. All of the Alphabet Outline VPN applications come for free. In other words, users don’t have to pay for anything. Additionally, Alphabet Outline VPN makes the relevant code available on the hugely popular repository website known as GitHub. If it wanted, the whole word could peruses the code. And in the process of doing so help out in hunting potential security vulnerabilities. As mentioned before, Jigsaw is the company that is doing all this stuff with Alphabet Outline VPN. Most people know Jigsaw as the Alphabet incubator which managed to spawn Alphabet Outline VPN. But what they don’t know is that Jigsaw has also worked to tackle many other kinds of safety challenges that users have to face every day in the online world. The company behind Alphabet Outline VPN also submitted its application for an audit by a third-party company known as Radically Open Security. That happened in November of 2017. Researchers who studied the application now have made the results of their research public via a PDF file. Because this way we know that amateur bug hunters, as well as trained professionals, have had the opportunity to examine Alphabet Outline VPN. So what’s under the hood then? Well, our research shows that Shadowsocks protocol actually powers Alphabet Outline VPN. Throughout our time researching Virtual Private Network service providers and writing reviews about them, we haven’t come across many Virtual Private Network service providers who make use of this technology. From the outset, the thing readers need to know about Shadowsocks protocol is that it is open source. It usually gets picked over for all the various potential vulnerabilities. The other notable thing about Alphabet Outline VPN is that it does not collect private/personal or any other kind of information on the user. It does not keep track of the user’s online activities. In fact, it doesn’t even know the user’s hosting configuration. Of course, it has to gather some amount of information for the purposes of updating its software application. Alphabet Outline VPN describes these pieces of information as non-identifiable data after an incident such as a crash. The full Alphabet Outline VPN experience basically comprises of two different interfaces. The first of these interfaces is the Alphabet Outline VPN Manager. This is what users will have to get used to if they want to create and manage their own Virtual Private Network servers. As you can probably tell, if you only relied on the first part of Alphabet Outline VPN, then you won’t get protection for your internet web traffic. After the Alphabet Outline VPN Manager, you have the official Alphabet Outline VPN client. The official Alphabet Outline VPN client is actually the app. And users will have to make use of this app in order to create the actual Virtual Private Network connection. This is also the part that secures the user’s internet traffic. Users are free to download both of these parts from the official Alphabet Outline VPN website. Unfortunately, the Alphabet Outline VPN Manager software application only supports Linux and Windows at the moment. The developers of the software say that they are bringing the software to the macOS platform very soon. Alphabet’s Outline Virtual Private Network has stated that it will bring macOS and iPhone support pretty soon here as well. Now wasn’t that simple enough? You see, it is only when you start to go into details that you realize that things aren’t as simple as they seem. They are actually slightly complicated even. Users can easily install the official Alphabet Outline VPN Outline Manager. That work should last about a few seconds. What users also need to know is that they have to bring in their own server in order to make Alphabet Outline VPN work. 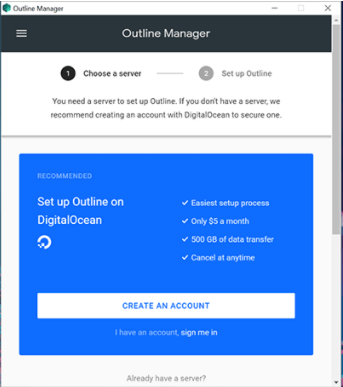 Alphabet Outline VPN suggests that users should first create an account with DigitalOcean. Then users should use this account to host their Virtual Private Network activities. The interesting fact is that users can actually sign up and/or sign in for services such as DigitalOcean from within the official Alphabet Outline VPN Manager app. Our research shows that if you go this route then you will have to spend a lot of time futzing with the official DigitalOcean service than you would with the actual Alphabet Outline VPN client. This says more about how easy Alphabet Outline VPN makes things for users when it comes to the process of actually setting up a Virtual Private Network server. The thing that we must point out here is that, while Alphabet’s Outline Virtual Private Network is absolutely free. It doesn’t matter which web hosting online service you will go with. If you eventually sign up for one, you will have to deal with some sort of hosting fees. Our research shows that if the user goes with DigitalOcean then he/she will have to pay around $5.00 per month for a total of 500 GB of bandwidth. This deal may also include a $10 credit if you are lucky enough when you are signing up for the service. Users are free to choose their own online hosting service with the help of nothing but a virtual private server or a virtual machine. In fact, users can even hook up Alphabet’s Outline Virtual Private Network to a given server even if that server is present in the user’s garage. If you still have one of those then good luck to you. When setting up the server, the user will have to grant Alphabet’s Outline Virtual Private Network access to his/her DigitalOcean account. Users can do all of that from within the official Alphabet’s Outline Virtual Private Network Manager application. Then users will have to wait for a couple of seconds before the application takes care of all the work that it has to perform at the back-end. When it is done doing that, it will present the user with some options. Options of VPN server locations. Users are free to select a location such as New York. 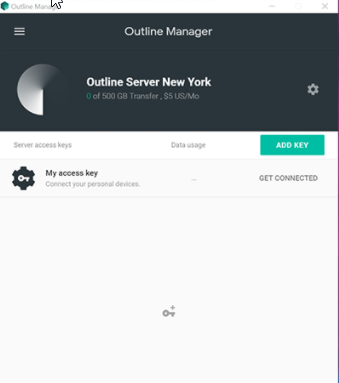 When the user does so, expect the Alphabet’s Outline Virtual Private Network Manager app to spit out several keys for the user to utilize in order to get his/her devices online. 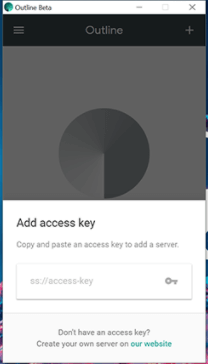 The keys are essential for users who need to access their VPN server that they just created. Users have the option of creating as many keys as they want to in order to bring other devices and/or people online. 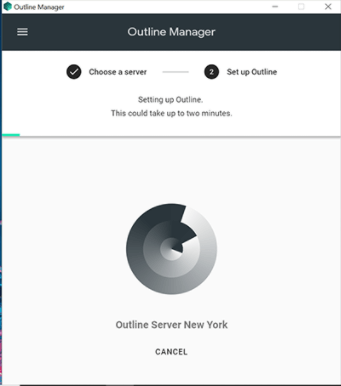 The official Alphabet’s Outline Virtual Private Network Manager application allows users to manage all of the devices and the users from the same app. Users also have the option of revoking those keys. The Alphabet Outline VPN Manager app even allows users to delete their VPN server if the user feels like not trusting the server anymore. Well, there could be hundreds of reasons for deleting one’s VPN server. One reason could be that it only takes a few seconds to spin up a new VPN server. Users can generate new keys and then use them to fire up the Alphabet Outline VPN Windows client. After that, they can easily enter the new keys when the app prompts them to do so. And a few seconds later, they should expect to go online via the VPN server. Users can confirm their apparent Ip address as well. Our research shows that this apparent IP address is, most of the time, different from when the user had not activated the VPN service. We don’t think we can overemphasize the fact that it is actually remarkably easy users will find the whole experience to be. Even users who have set up and then used many VPN services in the past, will find that Alphabet Outline VPN provides one with a totally different experience. We know that sounds counter-intuitive. Once you read a software that says open-source Do It Yourself you immediately think about projects that would require the work of a complete afternoon. But as you might have noticed by now, it is anything but. Our research shows that it should take you less than eight minutes from the download stage of the process to the final deployment stage. You may even find it so easy that you start to drum your fingers while trying to figure out what should you do with the leftover time. If we only take this into respect, then Alphabet Outline VPN is already giving us a lot to be considered as a winner. And remember, Alphabet Outline VPN is still in its beta phase. 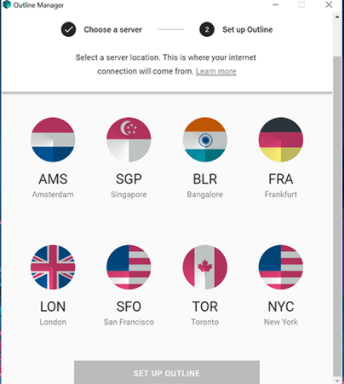 Alphabet Outline VPN wants to help users in creating and deploying a Virtual Private Network. It wants to make this process trivial. As far as the beta version of Alphabet’s Outline Virtual Private Network goes, this is what users are getting in every possible department. As mentioned just now, Alphabet’s Outline Virtual Private Network is still not out of its beta iteration yet. Hence it is difficult to perform a comprehensive speed test and evaluate its performance. Our preliminary research shows us something less exciting than some of the other Alphabet’s Outline Virtual Private Network features. In other words, if you use the Ookla speed testing website/tool to measure Alphabet’s Outline Virtual Private Network ’s results, then you will have to come to the conclusion that it does cause a significant drop in both upload and download speeds. Our research also showed us that it is likely to increase the latency rate of the user’s internet connection. So what’s the big deal with that? We already know that all VPN service providers increase the latency rate of the user’s internet connection? Well, this is how we differentiate between a good VPN service provider and a normal VPN service provider. It is true that all VPN service providers increase latency rate. But elite VPN service providers increase the latency rate to a much lesser extent than average VPN service providers. In the case of Alphabet’s Outline Virtual Private Network, we have seen many other VPN service providers (commercial ones) with less impact on the user’s latency rates. One can’t simply ignore the fact that Alphabet’s Outline Virtual Private Network only allows users to first set up their own VPN service and then run their own VPN service. Hence, our research on the speed aspect of Alphabet Outline VPN is likely to be a product of the hosting scheme. As mentioned before, the hosting scheme that we considered for this Alphabet Outline VPN review was DigitalOcean. Again, we would like to make it clear that Alphabet Outline VPN only provides management tools and software applications. It is the end user who has to move about and then bring the VPN server. Most of us who have used VPN services for a long time would know that VPN servers have bigger impacts on VPN speeds than any other component of a normal VPN service. Readers should also note that we don’t recommend users to judge and/or choose VPN services based on speed only. The values of the given VPN company and the company’s commitment to user privacy are way more important and relevant than the speed of a particular VPN company servers. Regardless, as alluded to earlier, Alphabet Outline VPN is still in its beta phase. And as always, we would advise readers to look at speed results of Alphabet Outline VPN with a big grain of salt. Sometimes people like to refer to antivirus software applications as something akin to a malware but good. Readers have to consider that ti can move files. And it can modify itself. Sometimes, it can and probably should, also delete files without any sort of an input from the user of the computer machine. Hence, if the user had no intention of installing an antivirus product then it is probably a malware. One could say the same for VPN service providers as well. At least when one looks at the situation from the perspective of trust. Users have all the opportunity in the world to install a VPN service. They can do in order to protect their web traffic from actors such as hackers, snoopers, and government agencies. They could use it for their local network or for a WiFi connection. And perhaps they want the VPN service to provide them with some measure of security and privacy while they surf the wild wild web. Moreover, VPN services can also keep the user’s activities a top secret, away from the prying eyes of almost all internet service providers. When you trust a VPN service so much, you basically have given the VPN service provider just about as much insight into your network and your activities as you would to an internet service provider. Hence, users should make sure that the VPN service better act as a good steward of their private data. So does Alphabet Outline VPN change the situation a bit? It does it by putting the user in charge and hence solves the problem of trusting the VPN service provider. When the user is in charge, he/she doesn’t have any need to trust a VPN company with his/her private data. Because the user is the one who owns the VPN server. Or, in most of the cases, rents the VPN server. In Alphabet’s Outline Virtual Private Network ’s case, the user is also the one who manages the service. There is no doubt about the fact that using a commercially available VPN service in some regions of the world is more than just difficult. Some believe it is actually impossible. Alphabet’s Outline Virtual Private Network tries to solve that problem by sidestepping it. And it does that by putting the control of every aspect of the user’s VPN service, in the user’s hands. A lot of commercially available VPN companies limit the user to connect only up to five or sometimes six simultaneous devices at a given time. But when you are using a service such as Alphabet’s Outline Virtual Private Network, your only limitation is the amount of actual bandwidth that your VPN server allows you to have. Alphabet’s Outline Virtual Private Network also enables users to easily create and then obtain secure keys. Users can then use these secure keys to push some of their other devices and people that they hopefully know, online. In other words, there are limitations when you have set up Alphabet’s Outline Virtual Private Network properly. Of course, the user (after creating the keys) has to make sure that he/she distributes those keys as well. Users can do that in the form of nothing but URLs. And they can do it themselves without any outside help. Preferably though, users should engage in this activity via a secure communication system. But the best option, which is also free, would be via ProtonMail. All of this makes Alphabet’s Outline Virtual Private Network a very attractive option small organizations. Perhaps Alphabet Outline VPN knows this. And hence tries to target newsrooms based on the copy its official website has. We have already mentioned the fact that is pretty close to shockingly easy to set up and then deploy Alphabet Outline VPN. Well, in addition to that, Alphabet Outline VPN also managed to handle a few of the trickiest parts that users are likely to come across in their VPN management endeavors. For example, Alphabet Outline VPN automatically finds and then applies any and all software updates. It also makes it pretty easy for users to destroy created VPN servers. As mentioned before, it also helps users to create a new VPN server with nothing but a few clicks. As far as the ease of use goes, and the simplicity of the software goes, Alphabet Outline VPN is pretty much right up there with the friendliest digital Do It Yourself software application project that we have come across. By comparison, Alphabet’s Outline Virtual Private Network makes installing and managing WordPress look like almost rocket science. Now, all of that polish comes with a cost. In other words, there are lots of things that Alphabet’s Outline Virtual Private Network can’t do yet. The first one of those things is that running one’s own VPN servers means that the user will have to, well, run his/her own VPN. To put it another way, Alphabet’s Outline Virtual Private Network will help the user only when the time comes for software updates. But as far as the server management and other operations go, the user is, for the most part, on his/her own. One of the things, why premium VPN service providers make money, is that these VPN companies manage to provide users with a roster of solid and ready-to-go VPN servers. These VPN servers are located in strategic locations around the world. Presumably, most of these VPN servers would have gone through and met some specific standards when it comes to the security compliance of VPN servers. We can’t really say the same about the VPN servers that users will spin up when they use Alphabet’s Outline Virtual Private Network. Because, frankly speaking, users would not have much idea of what they are doing when the time comes to set up and then configure their VPN servers. This also means something else very important. While using Alphabet’s Outline Virtual Private Network, users will only have access to VPN servers that they run or rent themselves. To take an example, let’s consider the VPN server that users will create with the DigitalOcean account. Our research shows that users may have the ability to create and then run VPN servers located, on average, eight locations. These locations would include all the in-demand cities in the world. Most of the good, consumer-grade, VPN service providers offer users hundreds and sometimes even thousands of VPN servers. And they do so by offering these servers in more than a dozen countries. One of the other major issues with Alphabet’s Outline Virtual Private Network is that the company behind it doesn’t offer much support either for its Manager or client software application. We have already mentioned the fact that the Alphabet Outline VPN Manager application is only available for platforms such as Linux and Windows. Because if you don’t have the Alphabet Outline VPN on your computer then you can’t create and then manage your very own VPN servers. Our research also shows that the Linux installation will require users to spend quite a bit of effort in order to get it to reach its completion stage. On the other hand, the Windows application is as simple as they come. It means that if the user wants to connect his/her iPhone or Mac to his/her Alphabet Outline VPN server then they are going to have to go through a manual configuration process. Now comes the last set of problems we have found with Alphabet Outline VPN. Actually, this fault surprised us the most. It even disturbed us to some extent. The limitations that Alphabet Outline VPN client has listed in its related FAQ are slightly on the worrisome side. In the FAQ section, the company says that on the Windows platform, the Alphabet’s Outline Virtual Private Network doesn’t really work as a complete and comprehensive VPN system yet. In other words, it means that the client will not encrypt your internet traffic one hundred percent (or all the time). The FAQ then mentions a bit of information to help the user in ensuring that the user’s traffic is properly encrypted. Except for the fact that the steps required to ensure that users have encrypted traffic all the time may well go beyond the technical capabilities of the average online user. Admittedly, the average online user will probably have little interest in using this VPN service in the first place. The other thing to note here is that Alphabet’s Outline Virtual Private Network Windows client will alert users about this issue (traffic not being 100 percent encrypted) when the user starts up the client for the very first time. Our research has pointed out to us on any given large and commercial VPN service, a given user is only one of the thousands of VPN users on any of the company’s given VPN servers. Hypothetically speaking, someone might have the means to watch that VPN server closely enough. That someone may also manage to figure out that a specific person is using that server. But even with that information, that someone will have to sort through any and all the other VPN users on the same VPN server in order to get to that specific person. However, no one should think that the situation is the truly the same for a user’s rather small Alphabet’s Outline Virtual Private Network server. Effectively speaking, the user only trades his/her IP address with the IP address of the user’s DigitalOcean server. For clarity’s sake, readers should understand that VPN services don’t really want to get into the business of providing users with the services with which they can become completely anonymous. If a user wants that to happen then he/she will have to use an advanced tool such as Tor. Now, this “problem” of having a single server with Alphabet’s Outline Virtual Private Network also comes with its own benefit. Alphabet’s Outline Virtual Private Network service does make the case of various actors finding it hard to shut down several small VPNs when compared to shutting down a few of the larger VPN companies. On the other hand, we do wonder how easy (or difficult) a determined adversary would find to identify a user and the user’s VPN address when the user is making use of a service such as Alphabet Outline VPN. This is the reason why we would want Alphabet Outline VPN to introduce more tools into its main package in the future. It should develop tools which allow users to set up a Tor node. They should provide features which allow users to access the Tor Network while they are also connected to a VPN service. Given that Alphabet Outline VPN is still in its beta phase, we think that this will likely happen in the very near future. Alphabet Outline VPN has set out on its mission to democratize the widely-used and in-demand VPN technology. From the looks of it, it is succeeding admirably. Alphabet Outline VPN is incredibly comfortable to use. It makes the tasks of managing and then deploying a VPN server to have Virtual Private Network access a snap. But it does come with some drawbacks. And some pretty significant ones. However, all of these drawbacks have a lot more to do with the fact that it is still in its beta phase. In other words, we don’t think there are huge underlying issues with this VPN service provider. We have already mentioned the fact that its speed test results allowed us to see more than a few raised eyebrows. Later, we came to the conclusion that the speed results mainly had to with the type of hosting service the user integrates with Alphabet Outline VPN. And not with the VPN service itself. Of course, more research needs to be done on these drawbacks. There are other Alphabet’s Outline Virtual Private Network facets which need some attention as well. We have a feeling that all of these “fixes” are forthcoming. There will come a time when Alphabet’s Outline Virtual Private Network comes out of its beta phase and offers its complete service to the general public. That will be its real test. Now having said that, we also have to mention that managing and running one’s own VPN service is no joke. In fact, practically speaking, it only makes sense for those kind of users who have dedicated themselves to the maximum amount of online security. Some think of it as a part of what makes them self-reliant. Users who want to distribute VPN access to any number of other people can also make use of Alphabet’s Outline Virtual Private Network. You don’t need to read too much to get the idea that Alphabet’s Outline Virtual Private Network wants to target this latter group of users. That is, users who want to set up VPN service not just for themselves but also for others. But there is little doubt that the former group (individuals) can also benefit from this VPN service. Alphabet’s Outline Virtual Private Network does not make sense for those users who are looking forward to spending an interesting weekend on a small project. Because Alphabet’s Outline Virtual Private Network has enough about it to allow users to set up a VPN server and VPN service before the user’s coffee has a chance to finish percolating. But Alphabet Outline VPN is free. And it is open source. Users who want that kind of a tool to first create and then manage their own VPN servers will find plenty to cheer about in here. Because of the fact that it is still in its beta stage, it does have the odd-looking restriction. But users who would rather cut their own individual path into the world of online privacy, would definitely benefit from this excellent tool. Individuals who are more concerned about their privacy than usual, would find that this VPN service lacks some anonymity features which are common with large-scale commercial VPN service providers. Alphabet Outline VPN is an open-source and a free tool for users who want to create and then manage their very own VPN server. However, the tool still hasn’t come out of its beta stage yet. And hence it does have some issues. But for online users who like to go on their own journey and don’t trust anyone else with their privacy, should give this tool a try. It might turn out to be an excellent choice on their part.